Renowned for its versatility, reliability and value, the V-Strom 650 has attracted many riders who use it for touring, commuting, or a fun ride when the spirit moves them. It is a touchstone motorcycle balanced with a natural riding position, comfortable seat and a flexible engine character that produces stress-free riding during brief daily use or a high-mile adventure. The 2018 V-Strom 650XT ABS marries the looks of the V-Strom 1000 ABS and the tubeless-spoke wheels of the prior generation V-Strom 650XT, unifying the V-Strom family. This V-Strom boasts strong engine performance and great fuel economy while achieving world-wide emission standards. A number of engineering accomplishments result in low weight and a thin chassis, producing a V-Strom that is more versatile, more controllable, and more accessible to elevate its total performance so it’s simply “More V-Strom”. And that’s what a rider wants; more of a good ride. The beak-style fairing, with vertically stacked headlights and new mounting structure helps the V-Strom 650XT cut through the wind, protecting the rider in style. The fuel tank maintains its 5.3 gal. capacity, but is shaped to be thin at the rear to flow into the slimmer seat which aids the rider in touching the ground at stops. Spoke-style wheels with anodized aluminum rims (gold or black) laced with stainless steels spokes absorb shock from irregular road surfaces well and accept tubeless tires. Adventure-spec Bridgestone BATTLAX 19-in. front and 17-in. rear tubeless radial tires are mounted to the spoke-style wheels for good all-around performance. Compact Antilock Brake System (ABS)** system monitors wheel speed to match braking to available traction. 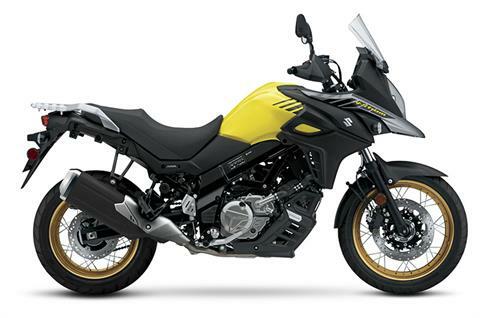 The V-Strom 650XT ABS is supplied with hand guards and a protective lower engine cowl. Even with a variety of features and advanced engineering, the 2018 V-Strom 650XT ABS's weight was reduced 2.0 lb. as compared to the prior generation V-Strom 650XT. The multi-function instrument panel is similar in appearance to the V-Strom 1000 ABS panel, but has functions unique to the V-Strom 650XT. The stacked, 65/55W halogen headlamps illuminate the road when your ride stretches into night. The TI-ISC on the V-Strom 650XT ABS has Suzuki’s Low RPM Assist feature that seamlessly adjusts engine speed during take-off and low-speed riding to smooth the power delivery and to help reduce the possibility of the rider stalling the motorcycle. 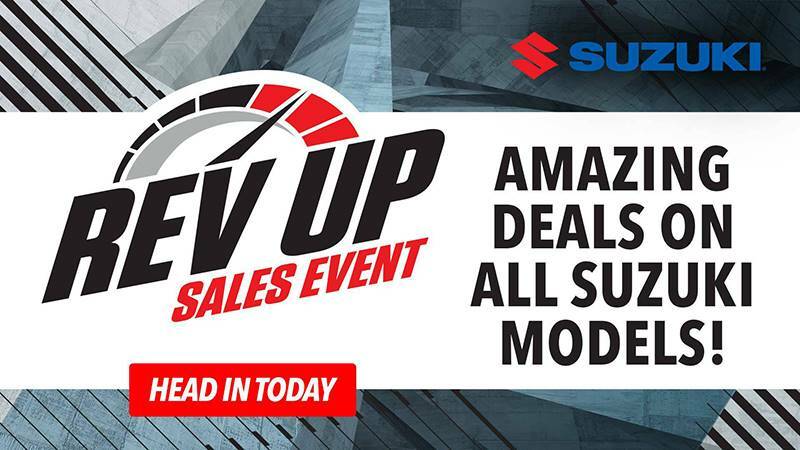 The V-Strom 650 ABS is equipped with Suzuki’s advanced Traction Control System* which lets the rider control the throttle with more confidence in various riding conditions. It continuously monitors front and rear wheel speeds, throttle opening, engine speed, and the selected transmission gear to adjust engine output if wheel spin is detected. ADV fairing, with vertically stacked headlights, adjustable windshield, illumination adjustable instrument panel that delivers a wealth of information. Ready for real adventure, the V-Strom 650XT ABS has aluminum, spoke-style wheels with tubeless radial dual-sport tires, hand guards, and a protective lower engine cowl.